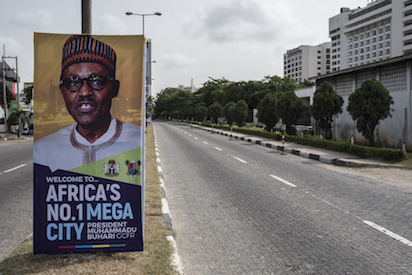 POLITICS BREAKING: NO ROAD WILL BE CLOSED FOR BUHARI'S VISIT – LAGOS GOVT. The Lagos state government has announced that no road in the state will be closed ahead of President Muhammadu Buhari’s visit on Saturday. Funsho Williams Avenue, Surulere Lawanson/Itire /Tejuosho road Apapa/Costain road Abebe village Eric Moore road Eko Bridge/Apongbon Marina road Ikorodu road Mobolaji Bank Anthony way Old Toll Gate/Third Mainland Bridge/Obalende Airport road Oshodi-Oworonshoki expressway Agege Motor road Jibowu area Yaba/Muritala Mohammed way Iddo/Otto Herbert Macaulay way Adekunle and Ijora Olopa.